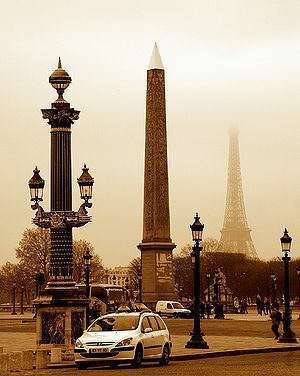 Paris is the capital city of the country France, which is located in western Europe. Paris was the center of early 20th century French spanking literature. Most publishers of French spanking novels were located in Paris, such as the publishing house Collection des Orties Blanches by Jean Fort or the publisher Charles Carrington. Paris, as a name, is also the alias of a fetish film actress who has appeared in a number of spanking videos produced by Chelsea Pfeiffer Entertainment. This page was last edited on 4 November 2016, at 15:07.